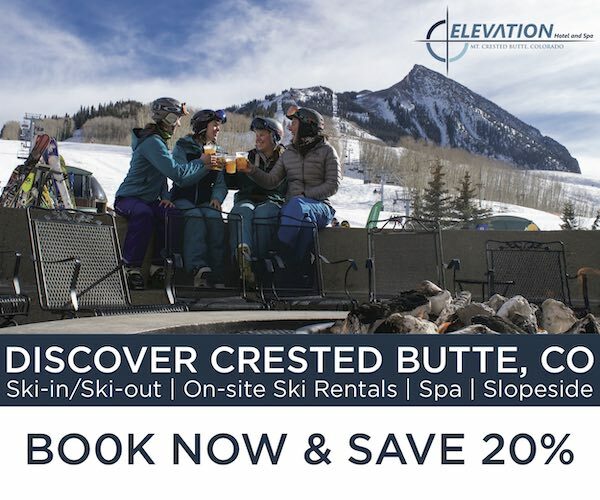 For the 2018-2019 season, K2 is releasing a new line of lightweight, inbounds boots: the Recon series for men, and the Luv series for women. The big story with the new Recon and Luv boots is the fact that they’re light. Quite light. 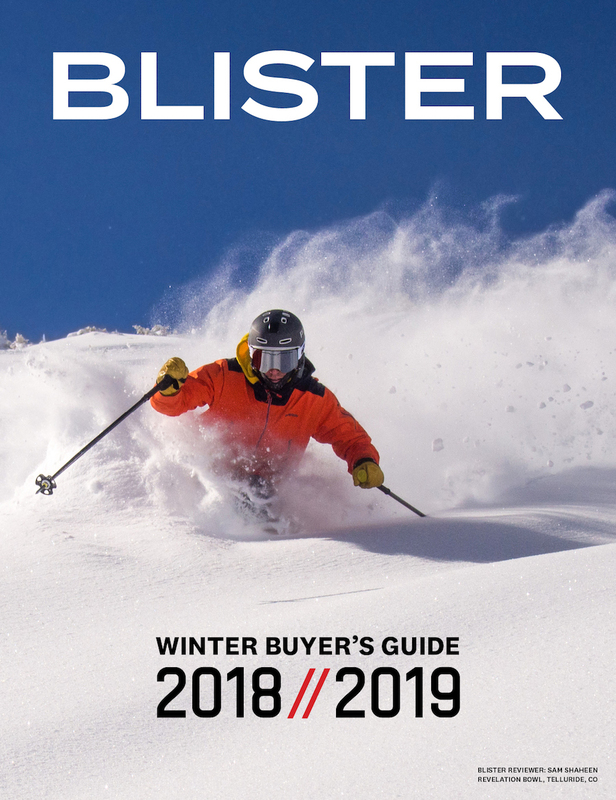 They’re part of an emerging trend of lightweight boots intended for inbounds skiing — with no intentions to be used on backcountry skin tracks — which boots like the Atomic Hawx Ultra helped spearhead. 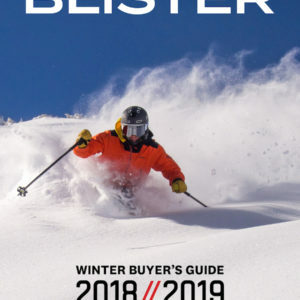 While many people might not care about lightweight ski boots for inbounds use, if it’s really possible to make boots lighter without sacrificing performance — or to make boots markedly lighter while sacrificing minimal performance — there will definitely be a set of skiers who welcome the lighter options, and there’s no denying that we skiers have more gear options than ever before that will line up precisely with our priorities. The Recon 130 comes in two last widths, a 100 mm “MV” (medium volume) last, and a 98 mm “LV” (low volume) last. We’ll be reviewing both widths in the coming weeks, with Jonathan Ellsworth skiing the 26.5 LV, while I’ll be in the the 27.5 MV. 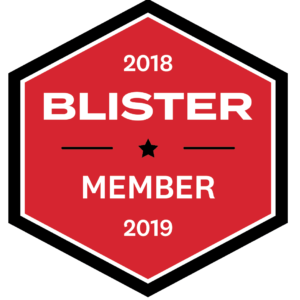 And we’ll be comparing the Recon to lightweight inbounds boots like the Hawx Ultra 130; more traditional (and heavier) alpine boots; a few of K2’s other boots. 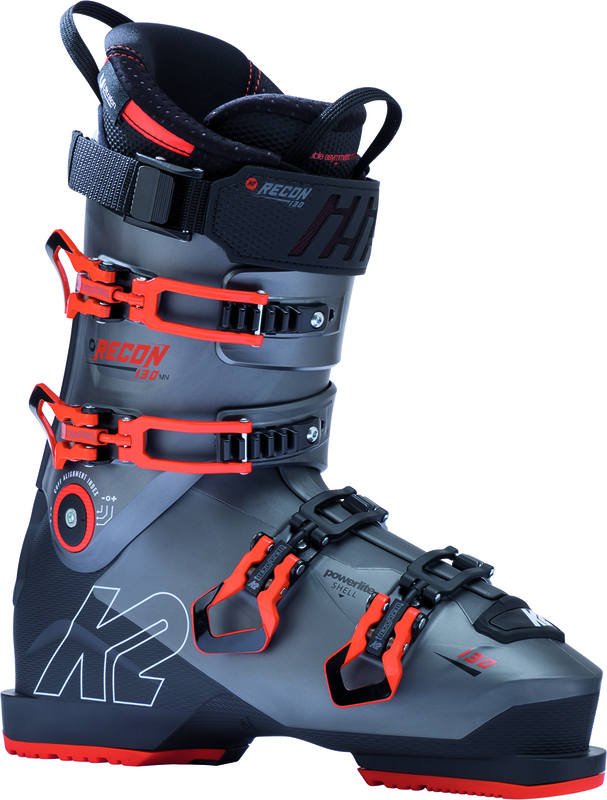 But for now, here are a few of our initial impressions of the new K2 Recon 130. The most noticeable and perhaps most important characteristic of the Recon 130 is the weight. Jonathan’s 26.5 LV weighs in at 1645 & 1651 g, which is just a bit lighter than the Atomic Hawx Ultra 130 in a 26.5. That’s impressive, especially since the Hawx Ultra is the lightest alpine boot we’ve used that delivered inbounds-worthy suspension and performance. So if K2 has managed to rival that — let alone best that — they’ll have done something pretty special. Like the Atomic Hawx series and a wide range of other alpine boots on the market now, the Recon’s shell is heat moldable. Many of the heat moldable shells we’ve used only come in one last size, and then you can heat and stretch the shell to accommodate a range of feet. However, the Recon comes with the option of two shell volumes (LV and MV), which, theoretically means it should be easier to dial in an exact fit. We’ll report back on the results of shell work on these boots. 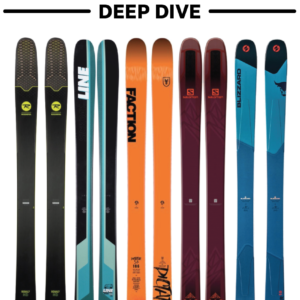 One interesting thing about the Recon and Luv series is that, unlike many boot lines where the top-of-the-line model has several exclusive features, all the boots in the Recon and Luv series use a heat moldable, PU shell — and K2 is saying that all of the models have a stated weight of 1650 grams. 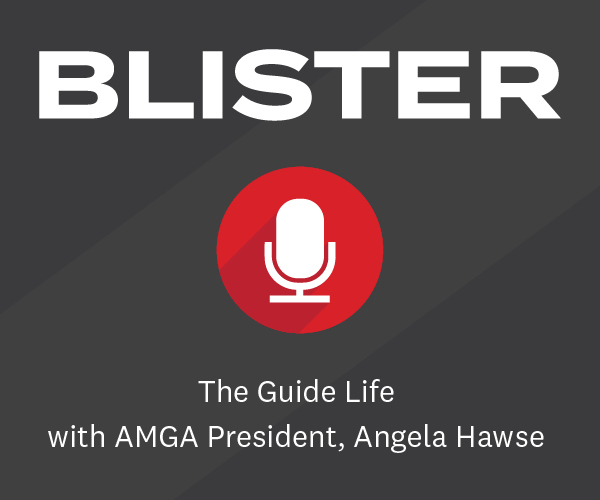 So, even if you prefer a softer flex, that doesn’t mean you’ll have to settle for a heavier, non-moldable boot. Cy: I spent a lot of time last year in the K2 Pinnacle 130 MV in a 27.5. I used it as my inbounds boot for about 70% of the season, and did some shorter tours in it as well. The fit of that boot worked really well for me, so I opted to go with the 27.5 MV Recon as well. Out of the box — without having any boot work done — the Recon 130 feels very similar to the Pinnacle fit-wise. I personally found the Recon 130 a lot harder to get on than the Pinnacle 130 (which is somewhat interesting given that K2 is marketing as a key feature the “easy-on” nature of the new Recon series), but I think that can be attributed to the lack of walk mode and the newness of the boot. And I’m curious to hear what Jonathan thinks about this “easy-on” aspect of the LV Recon 130. The toe box of the 27.5 MV is roomy enough for my fat feet, and I don’t feel any undue instep pressure, yet the heel hold is fine. We’ll see if all that stays true as the liners pack out, and again, I’ll be reporting back after I’ve heat molded the shells and the liners. Jonathan: Just in case you needed more evidence that the only thing that matters about a boot’s fit is whether or not it fits your feet, unlike Cy, I didn’t find these boots to be difficult to put on, at all. Or rather, I should say, I like snug-fitting, low-volume boots, and I automatically get scared when a boot is too easy to slip my foot into — if you go too voluminous around the cuff, there is going to be excess shell material, which is not something you’re probably wanting if you’re buying a low-volume boot. Do I find this boot easier to put on than my other LV boots? No, not obviously easier. It it any harder? Definitely not — and, like Cy, that means putting these on without getting any work done. I’ve always thought it was stupid to buy a heat-moldable boot and then not get it heat molded … but I have to say, I am pretty blown away by how much I like the fit of these boots right out of the box. Out of the box, these fit me like I expect a true “LV” boot to fit, and I consider these — fit-wise — to be in-line with a same-sized Lange RX 130 LV, HEAD Raptor 140 RS, etc. But I’d like to quickly stop talking about fit now, since I’m sure Cy and I both would like to reserve the right to update our initial impressions. The Recon’s buckle layout is pretty traditional — four buckles, with no extra rails to hold them latched while walking. I really like the Recon 130’s power strap, which features a ratchet buckle, but is still very light. I know this comes down to personal preference, but I wish more boots came stock with this sort of ratchet power strap. I’d love a strap like this on all my touring and inbounds boots (looking at you, Hawx Ultra XTD). The alpine sole pads of the Recon and Luv boots are replaceable, and you can purchase separately Grip Walk sole pads that are a bit more rockered. There isn’t an option to bolt on soles for tech bindings. What is your street show size? Looking to buy a pair of the Recon’s and just want to be sure on the shell size. I wear a size 10. Boot size in the past have been any where from a 26.5 to 27.5. Size 10.5, and all of my 97 & 98mm-lasted alpine boots have been 26.5. That said (and you probably already know this) street shoe size is a generally terrible gauge to rely on when determining shell fit or shell size. See our Boot Fitting 101 articles for more on this. How does the K2 Recon flex compare to the Hawx Ultra flex? How does the flex compare to the Salomon X Pro 120? Can you confirm on the outsoles ? the boot is on my radar, but in all designations about the boot I see “gripwalk outsoles” . I would prefer DIN soles to be able to my older pairs of bindings. There is an available alpine sole, but I’m 90% sure you need to buy it separate.